Aspiga is a brand that is inspiring us here at UK Swimwear, doing some amazing things with their garments that are touching and transformative. Aspiga make all their garments in Africa or Asia and design them here in the UK. They use traditional methods and let communities and craftsmen take charge of the manufacture and make them as they want and how they feel is best. Aspiga essentially bring the ancient methods of garment making of traditional communities into the developed world for you to enjoy. 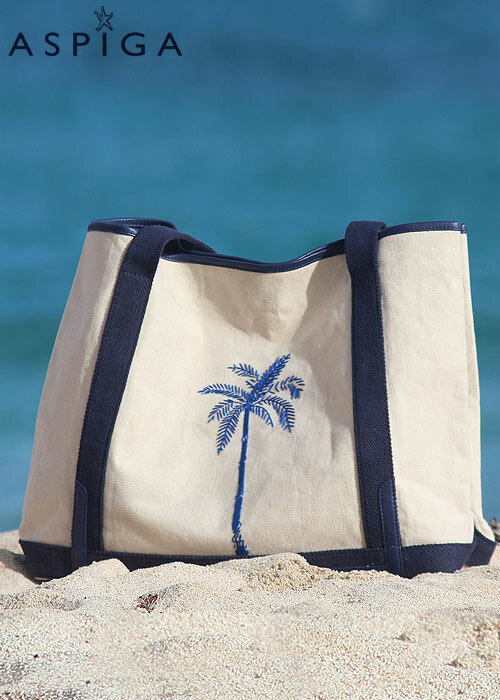 This beach bag is one of their simplest and most elegant designs and also one of their most useful. It will make your trips to the beach much easier and more organized and even has a magnet clasp closure to help keep the harsh rays of the sun and the sea spray away from your things.